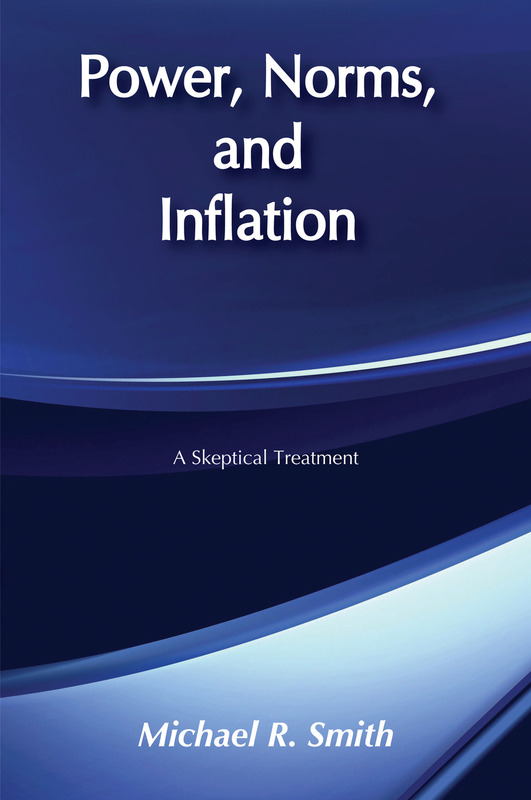 Explanations for inflation had for a long time been ceded to the purview of economists. The acceleration in rates of inflation within advanced economies during the 1960s and 1970s, however, prompted sociologists and political scientists to attempt their own accounts for this phenomenon.There are two major competing explanations of the postwar inflation. One, most commonly held by economists, is that inflation has been produced by governments through a combination of policy errors and cynical manipulation of policy for electoral purposes. The other, often advanced by sociologists and political scientists as an alternative, is that inflation has been an outcome of class conflict. In his study that ranges widely over the literature in the relevant disciplines, Smith examines the strengths and weaknesses of each account, with particular attention to the evidence presented in support of class-conflict explanations. He concludes that, on balance, the policy-error/cynical-manipulation explanation is better supported than its class-conflict rival.The clarity with which Smith presents these rival accounts and the critical rigor of his scrutiny make this a work of interest to advanced students in macroeconomic theory and to policy makers.